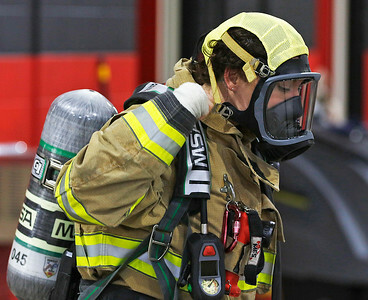 Huntley part-time firefighter/paramedic Jamie Roehrig suits up with a mask and air tank during a training exercise at the department's annex building on Main Street. Many area fire departments have part-time personnel but have a hard time retaining them. 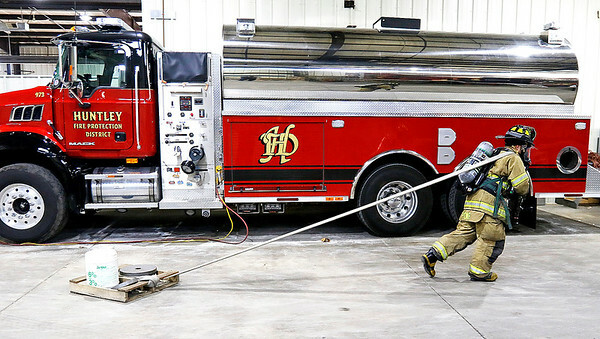 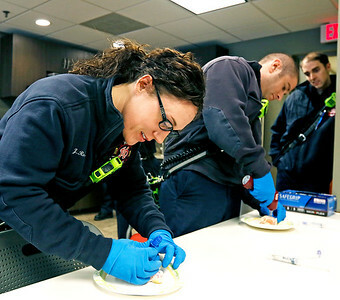 The Huntley fire district recently received a grant that will be used to offer benefits to part-time workers who meet certain criteria to try to retain them and recruit new part-time applicants.